activities were accomplished with the 3 USA astronauts and 2 Soviet Cosmonauts on-board. Apollo-Soyuz was the final mission of the Apollo program and the last USA human spaceflight mission until the first space shuttle mission in 1981. To commemorate the 40th anniversary of this historic international event, the ARISS team has developed a series of 12 Slow Scan Television (SSTV) images that will be sent down for reception by schools, educational organizations and ham radio operators, worldwide. The SSTV images are planned to start sometime Saturday morning, July 18 and run through Sunday July 19. These dates are tentative and are subject to change. The SSTV images can be received on 145.80 MHz and displayed using several different SSTV computer programs that are available on the internet. Also, as a special treat, on Saturday July 18 the ISS Cosmonauts will take time out to conduct an ARISS contact with students attending the Moon Day/Frontiers of Flight Museum event in Dallas, Texas. This Russian Cosmonaut-USA Student contact is planned to start around 16:55 UTC through the W6SRJ ground station located in Santa Rosa, California. ARISS will use the 145.80 MHz voice frequency downlink (same as the SSTV downlink) for the Moon Day contact. The ARISS international team would like to thank our ARISS-Russia colleague, Sergey Samburov, RV3DR, for his leadership on this historic commemoration. A bill to extend the FCC's "reasonable accommodation" rule on amateur antennas to private land use agreements has been introduced in the U.S. Senate. S. 1685, introduced by Sen. Roger Wicker (R-MS) and initially co-sponsored by Sen. Richard Blumenthal (D-CT), is identical to House bill H.R. 1301, introduced in March by Illinois Republican Rep. Adam Kinzinger. 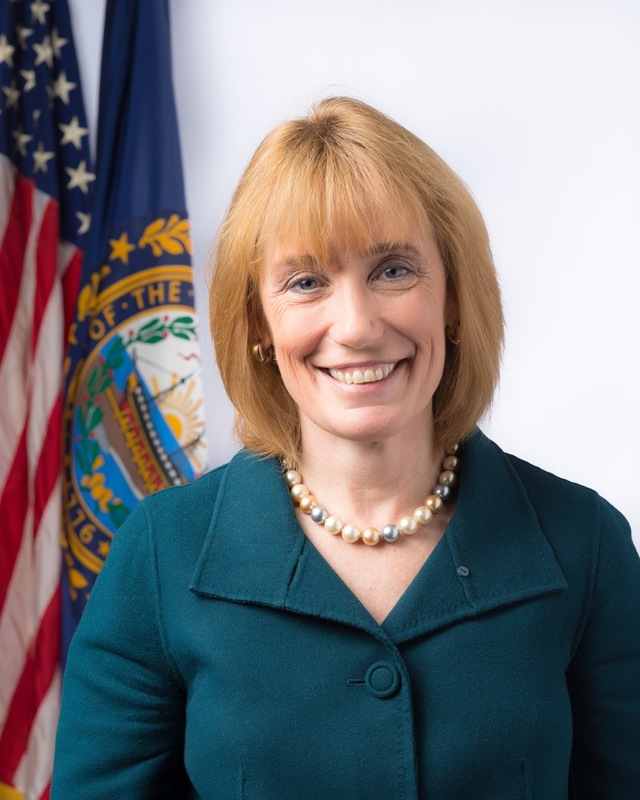 That bill has, at press time, gathered 84 co-sponsors, according to the ARRL. Wicker, in a statement, said the bill would ensure "increased access to, and availability of, critical resources and communication tools to our integral first-responders" by providing amateurs with "the ability to negotiate with subdivisions that now have restrictions that preclude amateur radio antennas completely." He noted that this could be done "without taking any jurisdiction away from homeowners associations and would protect neighborhood aesthetics." The ARRL is urging all amateurs to ask their senators and representatives to show their support for amateur radio by co-sponsoring S. 1685 or H.R. 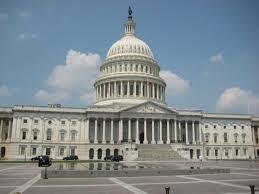 1301, depending on which house of Congress they are in. The governors of nine states officially recognized the important contributions of amateur radio in proclamations centered on ARRL Field Day this past June. Proclamations naming the last week in June as Amateur Radio Week were issued by the governors of Connecticut, Florida, Indiana, Iowa, Kansas, Oklahoma, Washington, and Wisconsin, according to the ARRL Letter, while New Hampshire Governor Maggie Hassan declared the entire month of June as Amateur Radio Month in the state. 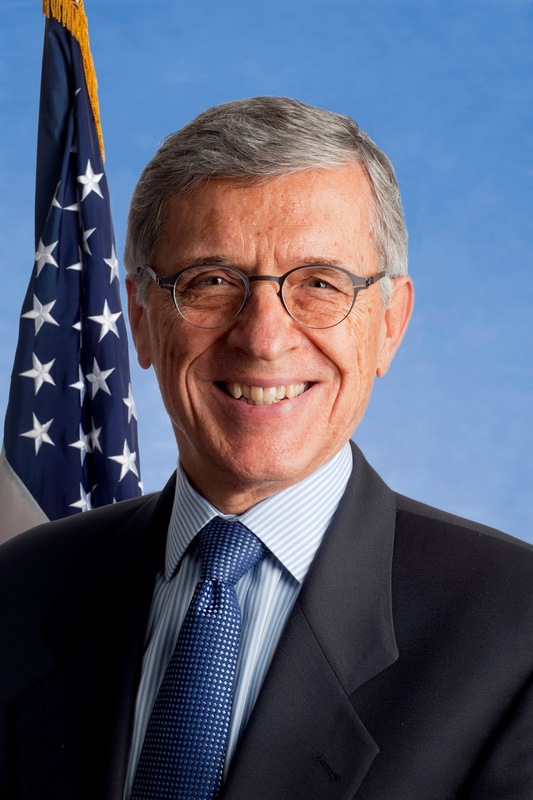 FCC Chairman Tom Wheeler, working with leaders of the House Energy and Commerce Committee, has agreed to reduce the number of field offices slated to be closed under a plan to streamline the operation of the Enforcement Bureau. The original plan called for closing 16 of the FCC's 24 field offices and replacing them with so-called "Tiger Team" strike forces that could be sent anywhere to go after rules violators. There was widespread opposition to the plan, as many people believed it would result in significantly reduced enforcement activities. Now, according to the ARRL Letter, meetings between the FCC and congressional oversight leaders led to an agreement to close only nine field offices, keeping open a total of 15. There was no immediate announcement of which offices originally planned for closure would remain open. House Communications and Technology Subcommittee Chairman Greg Walden, W7EQI, praised the "collaborative" effort and said the agreement would "help ensure that the commission can fulfill its responsibilities to the public and public safety communities. The FCC is seeking comments on its proposals to establish new amateur allocations at 2200 and 630 meters, with an August 31 deadline. According to the ARRL Letter, the FCC's detailed proposals for the bands - first announced in a huge Report & Order and Notice of Proposed Rulemaking in late April - were published in the Federal Register on July 2, starting the "countdown clock" for filing comments and reply comments (due September 30). (28.120 MHz) and downlinks on 70 centimeter FM (435.350 MHz). The PSK transponder is NO-84's primary mission, according to the ARRL Letter, designed to allow dozens of simultaneous users to operate full duplex and keep up a continuous group dialog throughout a pass. It is the first time an amateur satellite has had either an uplink or downlink on the HF bands since the Russian RS-series satellites went silent around the turn of the century. The two satellites were launched May 20. They both also operate APRS on VHF (NO-84)/UHF (NO-83), which is not surprising since their design team was led by APRS developer Bob Bruninga, WB4APR. In a related story, NASA's next mission to Mars, due for launch next year, will include two non-amateur cubesats. According to the AMSAT News Service, it will be the first time these microsatellites have flown in deep space. The ultimate mission goal, in addition to seeing if cubesats can make it through interplanetary space, is to use them as communication relays for future Mars missions between the time a lander enters the planet's atmosphere and touchdown. The CQ World Wide DX Contest Committee is making a concerted effort to crack down on cheating. After disqualifying more than 50 logs from the 2014 contest and banning one station from competing for the next five years due to alleged "log padding" - or adding contacts that were never made - the committee said it would test new software designed to detect the practice by running it on all logs submitted in the past four years. Any logs that show evidence of adding unverifiable QSOs will be dealt with on a case-by-case basis, according to a post on the CQWW blog by Contest Director Randy Thompson, K5ZD. See August CQ's "Contesting" column for an in-depth discussion of honesty and cheating in contesting. (or Foxhunting) championships this August. 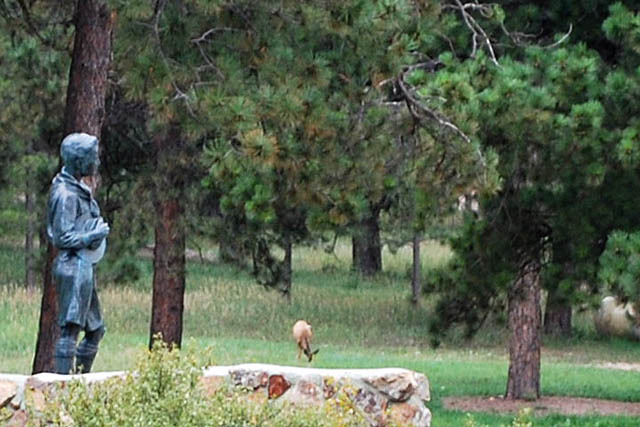 The 15th USA (and 8th IARU Region II) Amateur Radio Direction-Finding championships will be held in late August at the Peaceful Valley Scout Ranch in Colorado, about 40 miles outside of Denver. The competition will feature on-foot "foxhunting," using both the 80-meter and 2-meter bands, as well as a "foxoring" competition - which combines ARDF with orienteering - and a pre-competition training camp. 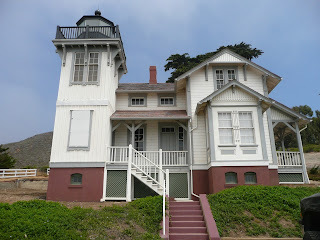 For more information, see August CQ's "Homing In" column on page 80.
restored Point San Luis lighthouse in California. The newly-restored Point San Luis lighthouse in Avila Beach, California will be active on the ham bands during the 2015 International Lighthouse and Lightship Weekend (ILLW) on August 15-16. According to Jim Linton, VK3PC, the 12-meter tall wooden lighthouse, built in 1890, will be activated by Bill Rea, WA6LJR. Linton says the recently-restored structure is the only surviving Prairie Victorian style lighthouse on the U.S. west coast. It is also the 300th lighthouse or lightship to be registered for activity during ILLW. More information about the weekend and how to participate may be found online at <www.illw.net>. 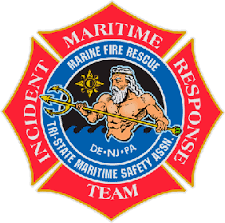 Amateur radio is now an official part of the response "toolkit" for the Tri-State Maritime Safety Association's Maritime Incident Response Team, or MIRT. 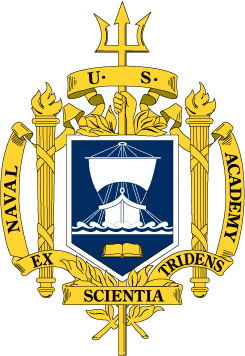 The organization serves New Jersey, Pennsylvania and Delaware. The Audubon-Barrington OEM Radio club in New Jersey will provide support for the group, according to the ARRL Letter, which will include operating and maintaining the communications gear in the "MIRT bus," which was also made available to the group for non-emergency events. The bus made its ham radio debut during this year's Field Day. Two hams - one in California and the other in Hawaii - have set new world distance records on the 2.3 and 3.4-GHz amateur bands. The ARRL Letter reports that Wayne Overbeck, N6NB, operating "rover-style" from a rental car in Hawaii, contacted Gregory Campbell, W6IT, who was at Overbeck's home station, over a distance of 2495 miles (4024 kilometers). The contacts more than doubled the previous records for two-way SSB voice contacts on those frequencies, and the contact on 2304 MHz was the first recorded voice contact on that band between Hawaii and the U.S. mainland. The pair took advantage of a recurring tropospheric duct that often permits Hawaii-California contacts on the VHF and UHF ham bands. European Space Agency Astronaut Samantha Cristoforetti, IZ0UDF, has now spent more time in space than any other woman. The ARRL Letter reports that her stay aboard the International Space Station, which ended in June, lasted just short of 200 full days, surpassing the previous record of 194 days, 18 hours and 2 minutes set in 2007 by NASA Astronaut Suni Williams, KD5PLB. 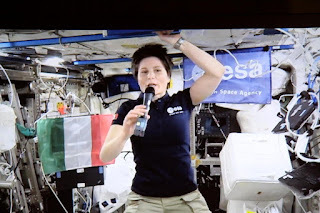 While on board the ISS, Cristoforetti made several ham radio contacts with school groups operating in the ARISS, or Amateur Radio on the International Space Station, program.